Grab your popcorn and wine, Grey's Fanatics. 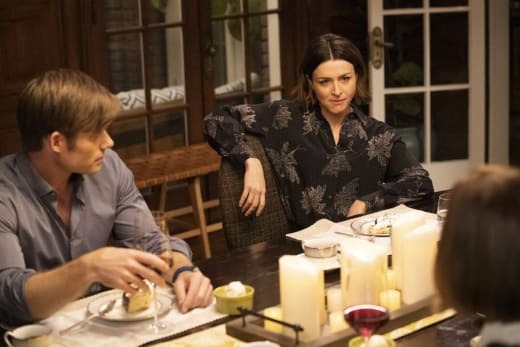 Grey's Anatomy Season 15 Episode 21 is the Amelia-centric hour which will give us all those classic Rom-Com tropes we can't resist. Girl sleeps with Boy. Girl goes to NYC with Boy to perform a surgery together. Girl is forced to go home to visit her sisters. Boy, by some unusual circumstances, ends up tagging along with Girl to her family's home. Girl spins an elaborate tale of being married to Boy, and he's gracious enough to follow along with the plan by pretending to be her loving and adoring husband. 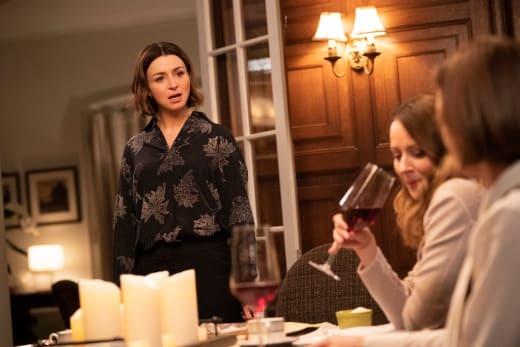 It's the type of shenanigans Amelia Shepherd would find herself in, so it's the perfect hour to explore something more light-hearted for her character. Mixed fandom response to the theme of this hour aside, we can all agree she's had a difficult time over the past couple of seasons, so she is deserving of a storyline which isn't heavy or dour. After 15 years, we get to meet the fourth Shepherd sister. Amy Acker will guest-star as Kathleen Shepherd. 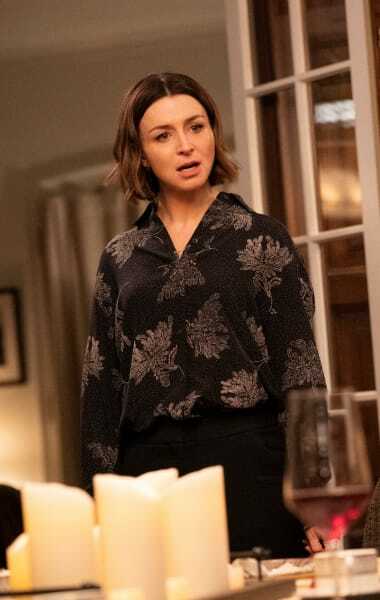 Kathleen, who Meredith also refers to as "Kate," is a psychiatrist, so it's a wonder Amelia may be insecure under the scrutiny of her sister. Amelia never appeared close with her other sisters; the sisterhood she relies on throughout her life these days consist of Meredith and Maggie. Related: Killing Eve Renewed For Season 3 - What's the Catch? If you don't recall, none of the other Shepherd women showed up on Amelia's wedding day sparking a bit of a meltdown for Amelia. They didn't support her making another rash decision, and as far as we know, she has not kept in touch with any of them like that for some time since. So, as far as her sisters are concerned, Amelia is a happily married woman. When Amelia bumps into Nancy while spending time with Link in New York, it only seemed natural to tell her sister that Link was her husband. The Shepherd sisters are charmed by Link and like what they see, and maybe after however long of Amelia telling him their arrangement is casual, she'll come around to something more permanent. 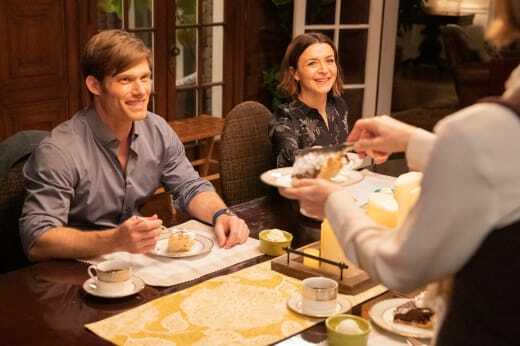 We all know dinners never go according to plan on Grey's Anatomy, so as light-hearted as the hour sounds, there should be a healthy dose of drama too. Amelia and her family are estranged, and she always felt like the black sheep. She is (was) closer to Addison, Meredith, and Maggie than her blood sisters. If the truth about her failed marriage comes out, the sisters will have their opinion about Amelia screwing something up again. The dinner could be fun, but it could also be disastrous, but at least she has Link there to support her. If we haven't learned anything about Link, we know he's a supportive, kind person who goes to bat for those he cares about. I wonder if they'll mention Derek at all. The Shepherds are distant with Meredith and Amelia, so there are many unanswered questions. Grey's Anatomy has a lovely way of pulling off their bottle-episodes, so this one should be no different. Are you ready for this Amelia-Centric hour? How much are you looking forward to meeting the other Shepherd and a family reunion? Hit the comments below, but first, check out the promo! 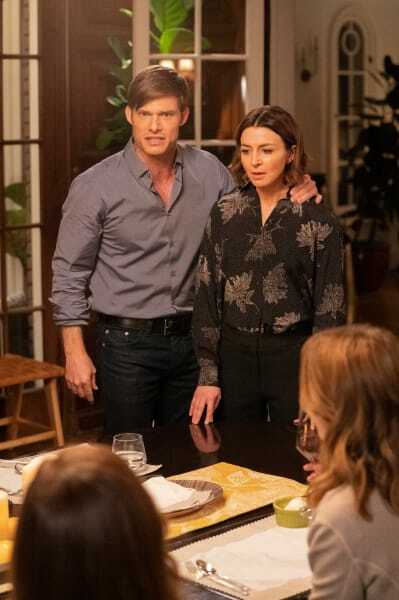 Grey's Anatomy Season 15 Episode 21: "Good Shepherd"